is a large shearwater in the seabird family Procellariidae. Ardenna was first used to refer to a seabird by Italian naturalist Ulisse Aldrovandi in 1603, and gravis is Latin for “heavy”. 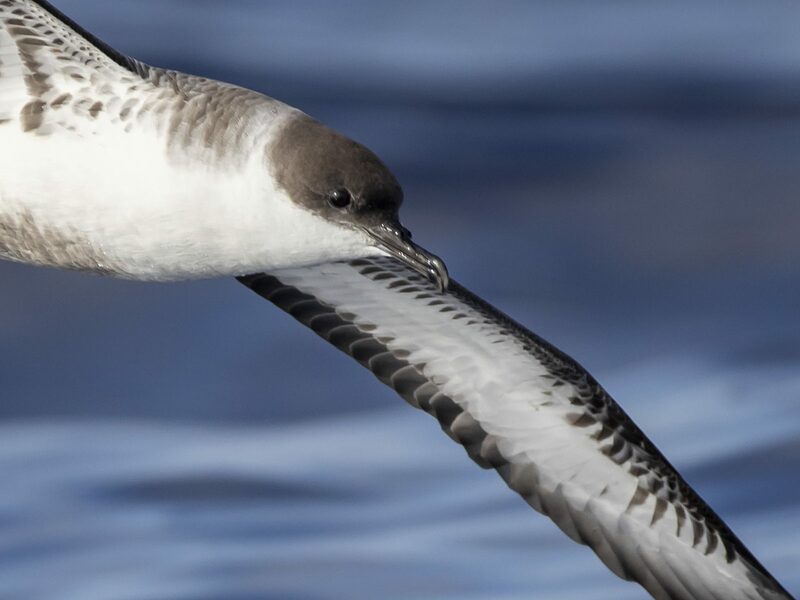 The great shearwater’s relationships are unclear. It belongs in the group of large species that have been separated as genus Ardenna (Penhallurick & Wink 2004); within these, it might be allied with the other black-billed, blunt-tailed species, the short-tailed shearwater and especially the sooty shearwater (Austin 1996, Heidrich et al. 1998). Alternatively (Austin 1996, Austin et al. 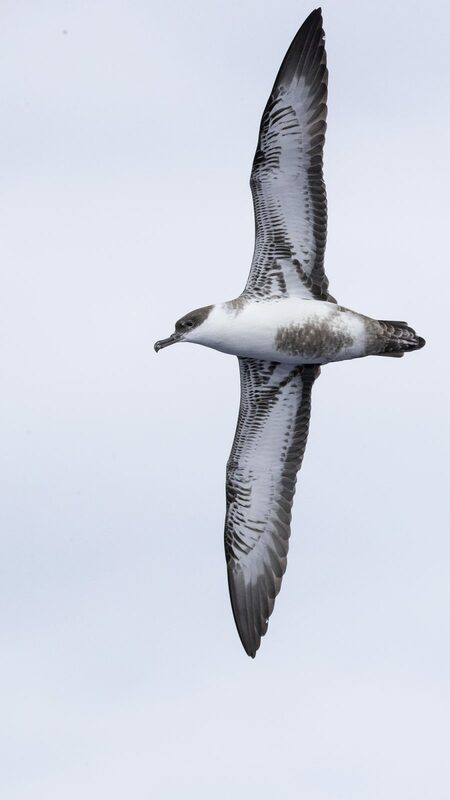 2004), it could be a monotypic subgenus (Ardenna sensu stricto), an Atlantic representative of the light-billed Hemipuffinus group (pink-footed shearwater and flesh-footed shearwater). 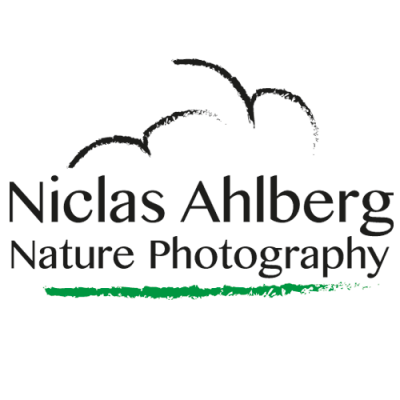 This species breeds on Nightingale Island, Inaccessible Island, Tristan da Cunha, and Gough Island. 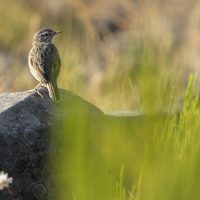 It is one of only a few bird species to migrate from breeding grounds in the Southern Hemisphere to the Northern Hemisphere, the normal pattern being the other way round. This shearwater nests in large colonies, laying one white egg in a small burrow or in the open grass. These nests are visited only at night to avoid predation by large gulls. 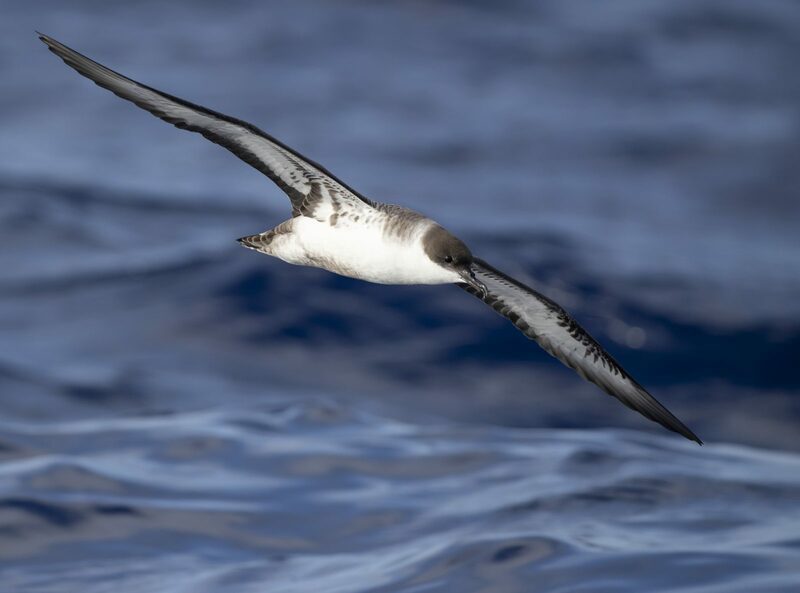 This shearwater is 43–51 cm in length with a 105–122 cm wingspan. 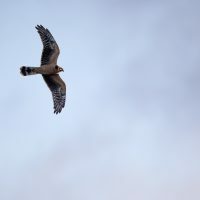 It is identifiable by its size, dark upperparts, and underparts white except for a brown belly patch and dark shoulder markings. It has a black cap, black bill, and a white “horseshoe” on the base of the tail. The stiff flight, like a large Manx shearwater, is also distinctive. 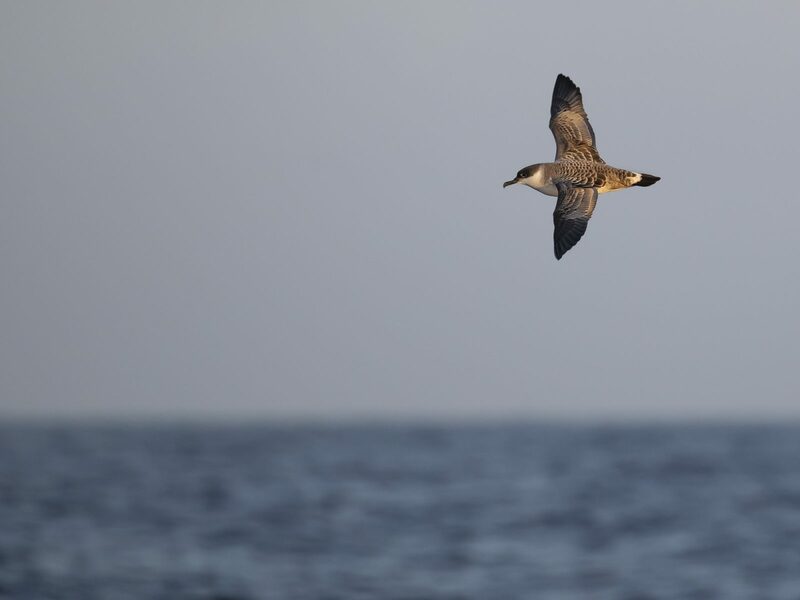 The only other large shearwater in its range is the all-dark sooty shearwater.